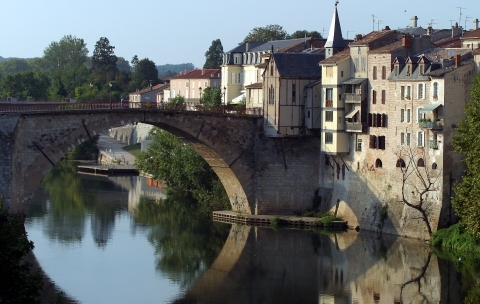 In France, this area is known as Périgord, its name pre-revolution. The tourist administration has divided this up into four colour coded areas. 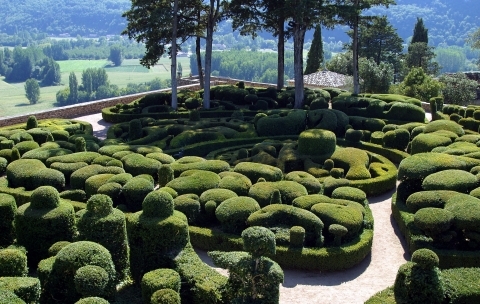 Périgord Vert, in north section of the Dordogne, a region of verdant valleys with rivers and streams. It is richly forested with predominantly chestnut and oak trees. The main town is Nontron which lies in the Parc Naturel Périgord Limousin. Walking and cycling are popular in the area and tourists can enjoy the horse drawn Romany caravans for hire for a holiday with a difference. Périgord Blanc runs across the centre and consists of limestone plateaux, wider valleys and meadows, with Périgueux, the capital of the department at its centre. It is a wilder area which is ideal for nature lover and yet within easy reach of the main town of the area, Périgueux. 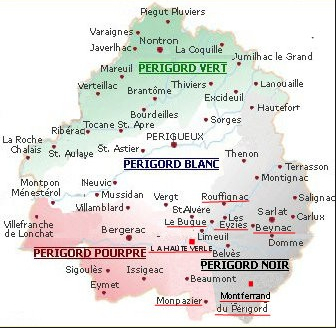 The Périgord Vert and the Périgord Blanc are not so popular with tourists as the southern west and south east areas, which allow them to keep a relative tranquility in the summer. Périgord Pourpre, in the south west of the Dordogne, named after the colour of the wine, is centred around Bergerac, the main town. Although red wine predominates, white and rosé is also produced and the sweet wines of Montbazillac are renowned. 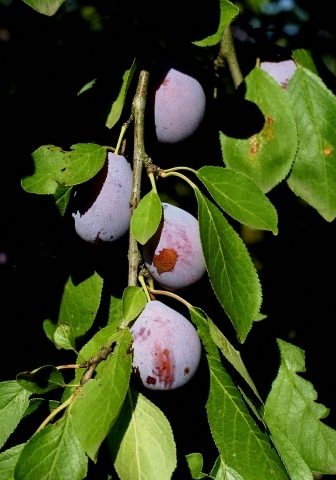 Bergerac is surrounded by fields of mais, vines and tobacco, Truffles are also discovered here. In the countryside south of the town some of the finest examples of bastides can be found such as Monpazier. 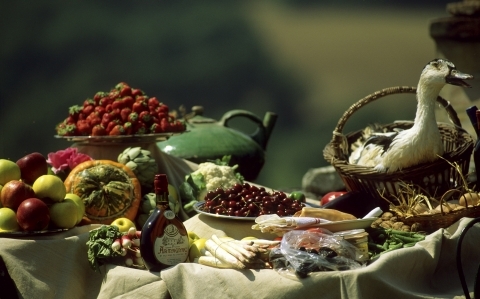 Périgord Noir is where some of the most stunning scenery in the region can be found. Deep sided river valleys of the Dordogne and the Vézère, topped with woodland with oak and pine trees. It includes the stunning villages of Beynac and la Roque-Gageac which is classified understandably as one of the most beautiful villages in France. Other gems in the Périgord Noir include the caves of Lascaux where the finest prehistoric art has been discovered along with a cro-magnon man skeleton, and the caves Les Eyzies. Sarlat-la-Caneda, a mellow honey stone medieval town, lies just to the north of the river Dordogne. This is a tourist stronghold with pavement cafes, lovely old houses, cobbled lanes and souvenir shops. 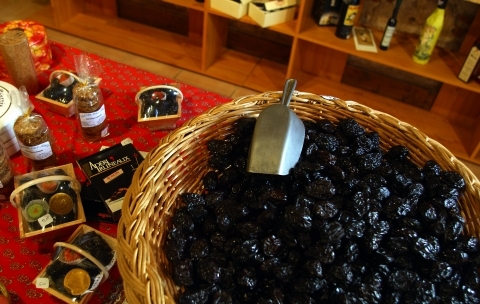 The Périgord Noir is also famous for goose and duck products: foie gras, paté, terrine, confit and preserves. The Dordogne is exemplary France. It is stunning that is why it attracts lots of tourists. You can still find quiet hideaways here for reasonable prices. A10 from Paris then A20/E09 through Souillac and on to Toulouse in the south. From Bordeaux, the A62/E72 runs south to Toulouse. The A89/E70 runs from Bordeaux through Périgueux to Clermont-Ferrand. The TGV runs from Paris to Bordeaux. Trains run from Bordeaux to Bergerac (2hr 45). The Toulouse line from Paris calls at Souillac and Sarlat.